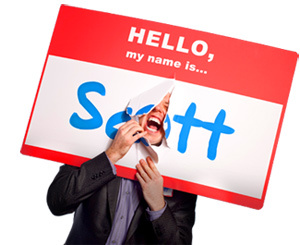 What It Feels Like to be an Impostor and to Overcome It Like a Champ - HELLO, my name is Scott! I can’t believe this is my job. I can’t believe I haven’t been found out yet. I can’t believe nobody has exposed me as inadequate. 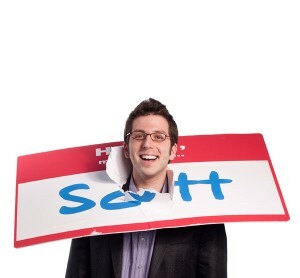 I can’t believe people haven’t caught on to how clueless I (really) am. I can’t believe I’ve deceived the world into believing that I know what I’m doing. This is clearly a coup, and I just know that at any second, I’m going to slip up and blow my cover. Then, it’s only a matter of time before the world spots my shortcomings, wises up and boots me out. Ever had that conversation with yourself? That guilty feeling that you’re getting away with something? And it’s a psychological phenomenon in which people are unable to internalize their accomplishments. Pioneered by clinical psychologists Clance and Imes in 1978, the term was coined in the publication Psychotherapy Theory, Research and Practice. Now, although The Impostor Syndrome isn’t an officially recognized as a psychological disorder, you can ask any entrepreneur, consultant, artist or writer in the world – they’ve been there. According a 2008 article in Science Careers, regardless of what level of success people may have achieved – and regardless of external proof of their competence – they remain convinced internally that they don’t deserve the success they’ve achieved and are actually frauds. BUT HERE’S THE GOOD NEWS: If you feel like an impostor, you’re probably doing something right. It also means that you’re not so arrogant as to assume that you’ve got it all figured out. Feeling like a fraud is, in many ways, a right of passage. It comes with the entrepreneurial territory. And thankfully, it’s an effective form of self-pressure to help you get over – and stay over – yourself. Unfortunately, nobody tells you this when you start your business. Sure, you hear about the long hours. And that you won’t make any money in the beginning. And that you’ll have to make sacrifices and leave old friends behind. But nobody warns you that you’re going to mentally torture yourself eight times a day. Not exactly something they teach at Harvard Business School. Next time you find yourself feeling like a fraud, consider these ideas to help bring you back to reality. Doubt protects you. Doubt is a warning system. Doubt keeps you humble. Doubt inspires you to become better. Doubt motivates you to achieve great things. Doubt gives you permission to explore alternatives. Doubt helps you keep checks and balances on yourself. And doubt forces you to examine what you think and why you think it. Be careful not to underrate it. Think of it as useful timidity. Accept it as a symbol of success and leverage it to your advantage. What are you questioning? 2. You’re not alone. “Sometimes I wake up before going off to a shoot, and I think, I can’t do this; I’m a fraud. They’re going to fire me. I’m fat. I’m ugly.” Those are the words of Academy Award Winner, Kate Winslet. And that’s just one example. Odds are, every entrepreneurial colleague you have has been there before, is currently there, or will be there soon. Whom do you know that also feels like an impostor? 3. Territory, not hierarchy. Resist the desire to constantly judge your success against the achievements of others. This is a hierarchical approach that creates an endless, destructive loop of not good enoughness. Approaching your work territorially, however, is what Steven Pressfield recommends in my favorite book, The War of Art. “Territorial creatives understand that the sustenance comes from the act itself, not from the impression it makes on others.” Which way do you work? Simply say, “Thank you.” That’s it. Two words. I know – it’s unbelievably hard. If you really have to, you might try my standard line: “Thank you. I was really happy with the way that one turned out.” How well do you receive? 5. Audit your process. Write a step-by-step guide on something you take for granted. Which of your “duh!” moments will become other people’s “omg!” moments? 6. Spy on yourself. When was the last time you took an honest glance at what you’ve accomplished in your career? Answer: Too long ago. Try this: Accumulate massive evidence. Chronologically depict your achievements in a Career Trajectory Map Illustrate how far you’ve come since the beginning. Next, step outside of yourself and view your achievements objectively. Then, ask these questions: Could an imposter (really) have accomplished all this? If you met you for the first time – and saw this map – what would you think of you? This exercise builds healthy amounts of self-confidence without overrating your abilities. I just did this myself and it rocked my self-doubting world back into order. Are you willing to confront your success? ULTIMATELY: You can’t keep trying to eradicate feelings of inadequacy. They’re not going to go away. In fact, the more successful you become, the more those feelings will creep in. Fortunately, feeling like a fraud is one of the best indicators of your legitimacy. Just know: There is no courage without the presence of fear. Fear is the prerequisite of bravery and bravery is the precursor to power. It’s not some kind of mistake. You really are successful. You deserve this. In fact, if you don’t feel like an imposter (at least) some of the time, you’re probably not stretching enough. Will you be found out? For the list called, “26 Ways to Out Brand the Competition,” send an email to me, and I’ll send you the list for free!